Paragon Rehabilitation celebrated their 10th Annual Program Director’s Meeting on September 13-15, 2016 in New Buffalo, Michigan. 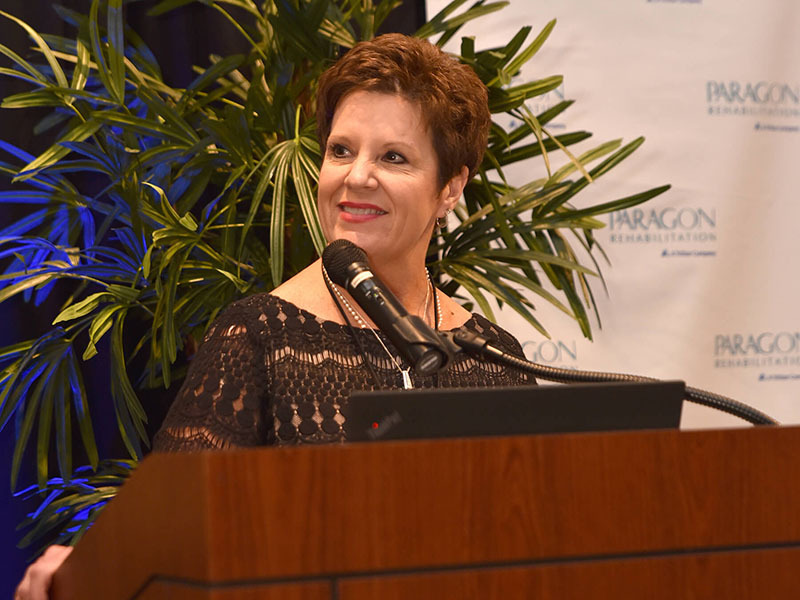 The three days of education, training, networking, and fun began with a keynote address from Leigh Ann Barney, Chief Operating Officer at Trilogy Health Services on Tuesday, September 14. Leigh Ann presented information on the trends in health care and how Paragon may be affected by changes in census focus. She talked of growth within the company and had an optimistic view for the future of Trilogy and Paragon. Leigh Ann set the tone for inspiring our remarkable leaders. Madhu Krish, Paragon’s Chief Operating Officer, welcomed our leaders to the annual event and introduced Dave Hare for leadership training. Dave Hare presented leadership training based on the book by Dr. Randy Ross and David Salyers entitled Remarkable. Dave’s motivational style of training focused on being a leader who creates value and helps others to create value. He talked about multiple principles of leadership to inspire our teams, promote positive attitudes, and facilitate collaboration. Wednesday, September 14 was a day of training and education followed by celebration of accomplishments and successes. The trade show offered information from vendors and different departments within Paragon and Trilogy to highlight programs and areas of support available to our leaders. Missy Hall, Paragon’s Director of Employee Relations, provided a leadership training session to our Program Directors in a smaller setting to enhance employee experiences at the campus level. Shane Stuber, Director of the Trilogy Foundation, addressed Paragon’s leaders with an explanation of the Foundation and invitation to help support it. The Trilogy Foundation supports our employees by allocating 100% of the funds raised to our employees in need and scholarship programs. After enjoying an afternoon of networking, sightseeing, and participating in the wellness walk/run, our Program Directors were treated to an amazing dinner and awards celebration. On Thursday, September 15 the Program Directors attended three training sessions. Marilyn Winkel, Director of Clinical Support, presented Compliance and Transitions to Quality-Based Payment. The information included some updates to Casamba software and new requirements with MDS reporting. Francis Usis, Clinical Support Specialist, provided education for Ultrasound Therapy and TENS for Pain Management after LEJR. The education included best practices for use of modalities and documentation. Shannon Condon, Clinical Pathway Coordinator, educated our leaders with Alternative Payment Models and Therapy: From Power Players to Powerful Partners. Our leaders were taught changes in payment models and best practices to continue excellent customer service standards. After celebrating the highlights of ten years of Paragon’s service to our customers and employees, our leaders returned to their campuses with new knowledge and skills to share with the teams. The energy and enthusiasm following the annual meeting will create continued success for Paragon’s future.